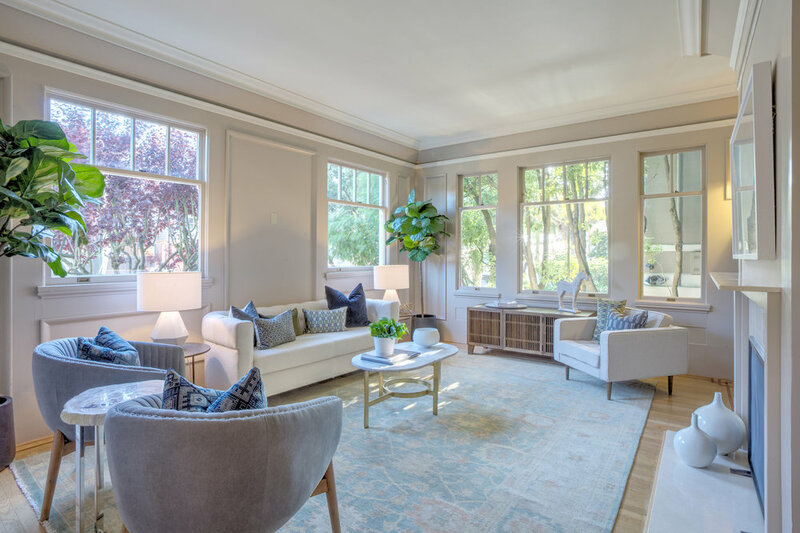 Old world charm and elegance are at the forefront of this refined residence on a beautiful tree-lined street in Presidio Heights. Upon entering, you are greeted with original oak hardwood floors, impressive moldings and wainscoting, and a formal foyer. 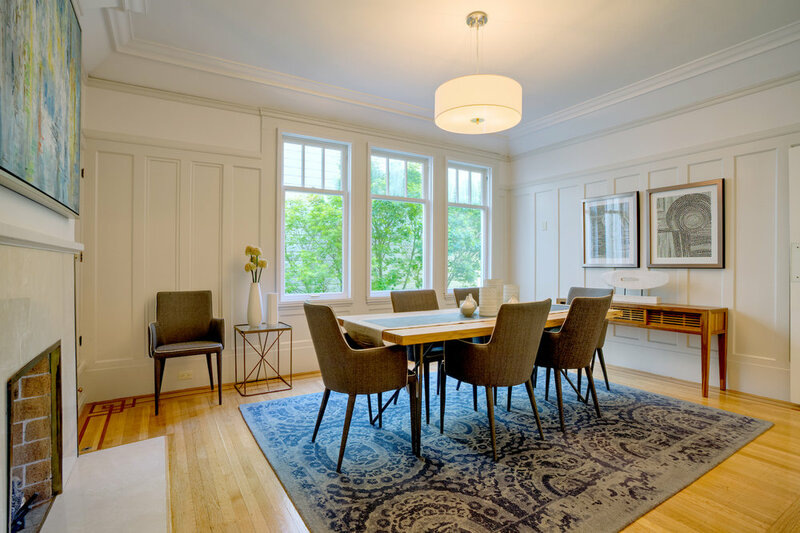 Resting in the north-east corner, the living room is a serene entertainment space that benefits from several large windows with pleasant green outlooks, built-in cabinetry, and a grand fireplace that centers the room. Opposite the foyer is the formal dining room, complete with built-in cabinetry flanking the fireplace and south-facing windows that overlook the lush trees below and allow for the southern exposure to flood the room with light. 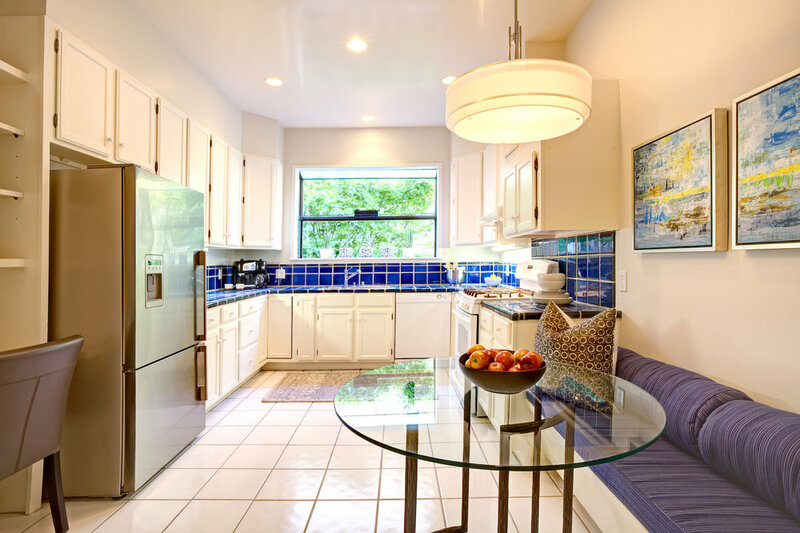 The spacious kitchen enjoys the same pleasant outlooks and benefits from a gas range, vibrant blue tiled counters, plentiful storage, a built-in banquette for casual dining, and a convenient office nook. Just beyond the kitchen, behind a set of double doors, rests the laundry room. The residence boasts three bedrooms, all with direct access into one of the three full bathrooms. The master suite provides incredible privacy as it is tucked away in the south-east corner of the residence. 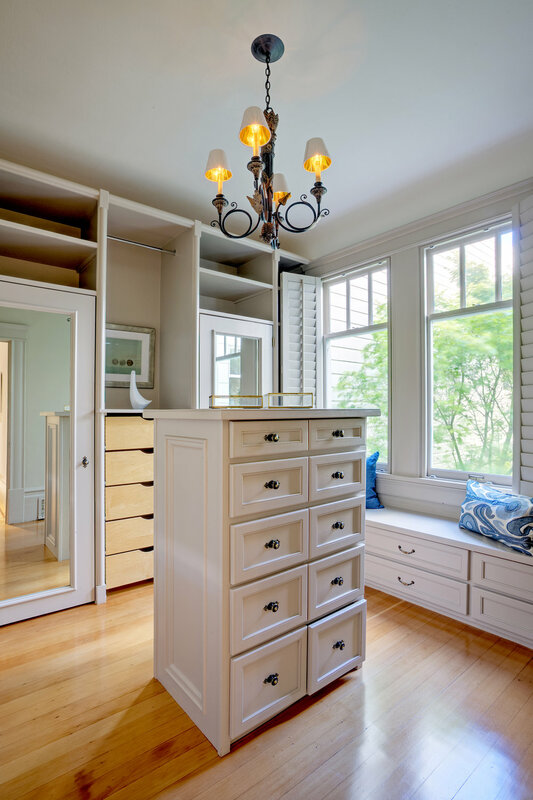 The master bedroom benefits from an en-suite bathroom, two closets, a wall of built-in cabinetry and a south-facing transom window that brings in natural light. The en-suite bathroom has been designed with marble-tiled counters and floors, dual sinks, and a deep soaking tub with an overhead shower. Adjacent to the master suite is a large walk-in dressing room that overlooks the lush maple trees below. Down the hall is the second bedroom, which enjoys access to the second full bath that doubles as the powder room. The third bedroom is thoughtfully situated in the north-west corner of the home and enjoys pleasant outlooks to Presidio Heights as well as an en-suite bathroom. 3991 Washington St is part of a boutique four-unit building and includes one car parking, additional storage, and a shared garden. 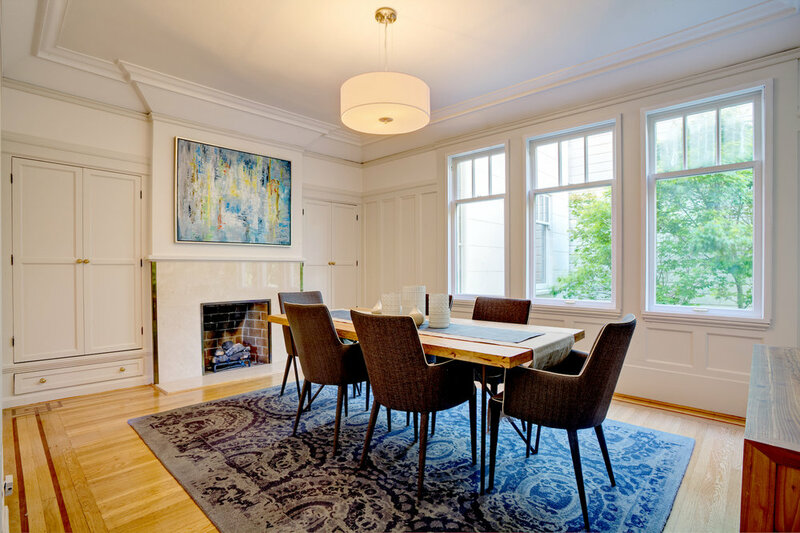 Ideally located just one block south of the Presidio National Park and within a short walk of Laurel Village, and the restaurants/shops along Sacramento St and Clement St.